Copenhagen Fashion Week will be held in Copenhagen at the same time as Nordic Barista Cup. Therefore we urge people to book hotel in good time. 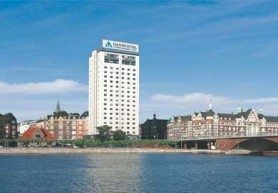 Here you will find NBC options for accomodation in Copenhagen. Again this year we have made a deal with Hotel Fox. Until July 5th you can use our NBC allotment with the foxiest hotel in town. 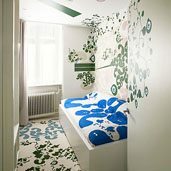 Situated down town and with individually decorated rooms by artists from all over the world. So find a friend to share your room with and get a foxy Copenhagen stay. Check-in is after 3 pm and check-out is before 12 pm. N.B. This offer is only valid until July 5th 2012. Mention “NBC code 201523” and email your details (att. Jesper) or call +45 3395 7702. During NBC the Copenhagen Fashion Week is also taking place. This means that you should book you room as soon as possible. But we have rooms allocated for all our NBC friends until June 20th. You can book one bed in a dorm room that you will share with other people. Or you can have a private room and pay 175 DKK for each bed. The rooms have 4, 6, 8 and 10 beds. All rooms have private shower/toilet. To gain the NBC price at Danhostel please down load this hostel-booking-form and find information about what to do. We have allocated rooms until June 20th 2012.